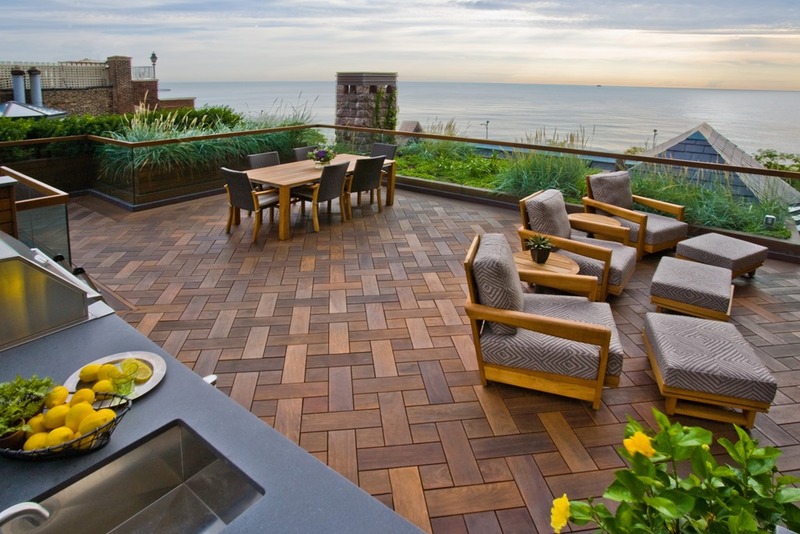 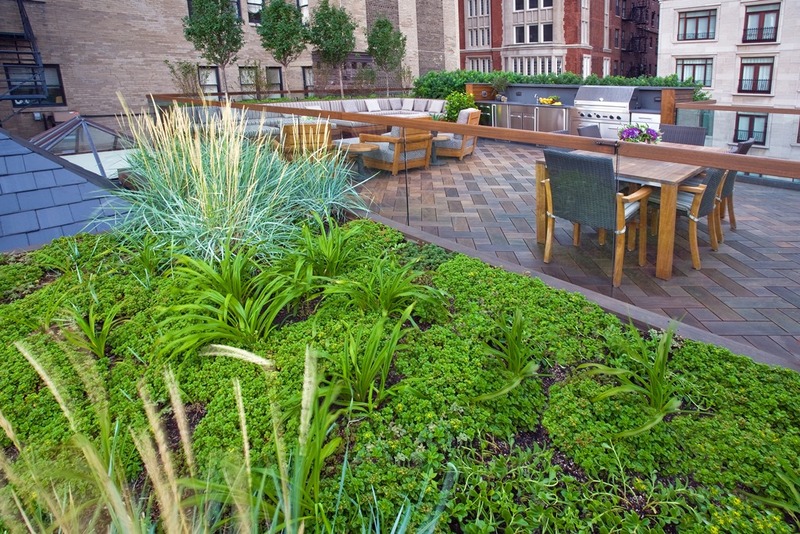 The breathtaking view from this Chicago rooftop is complimented by the sleek and subtle elegance highlighted in the landscape design. 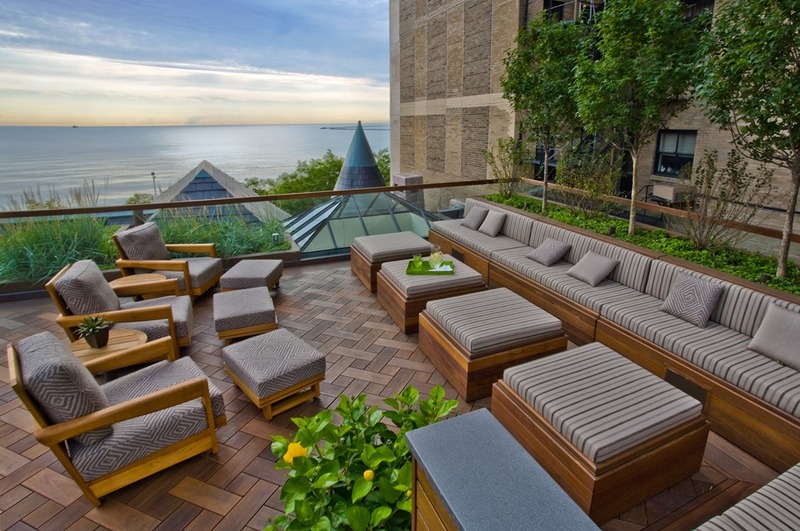 Outlining the space is a glass railing, creating an invisible barrier between the rooftop and Lake Michigan. 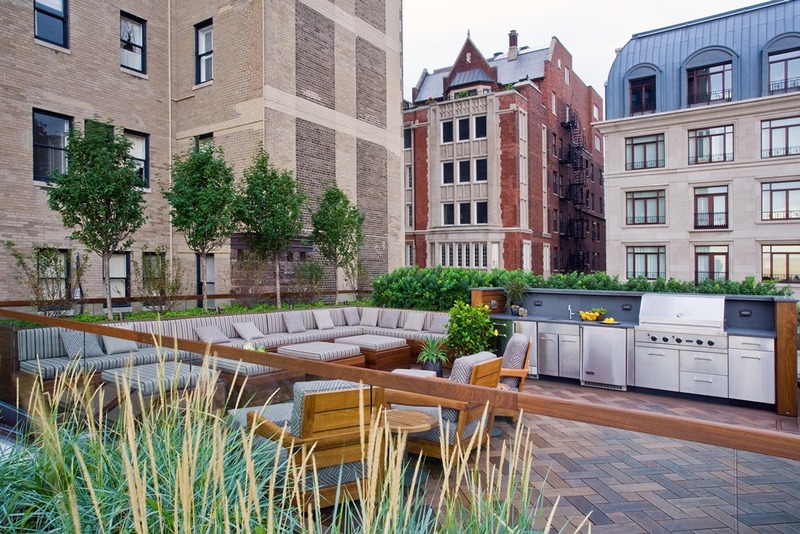 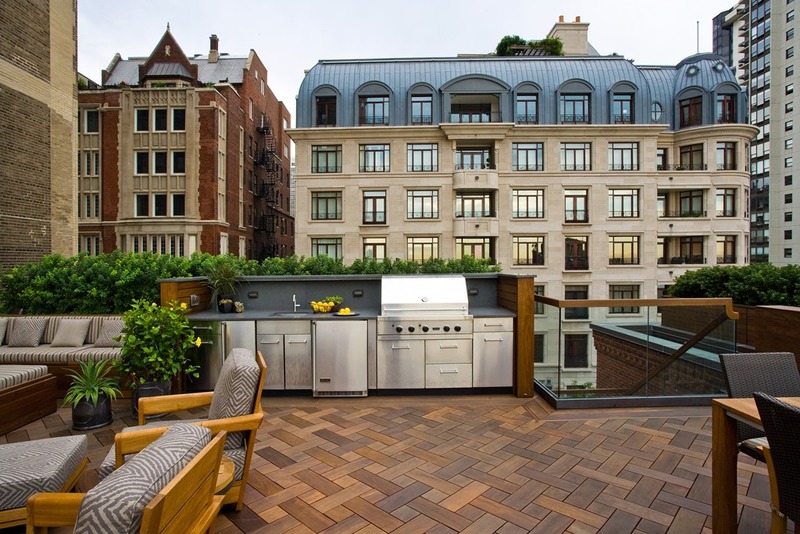 This unique custom-designed outdoor space features a living room, dining table, outdoor kitchen and green roof. 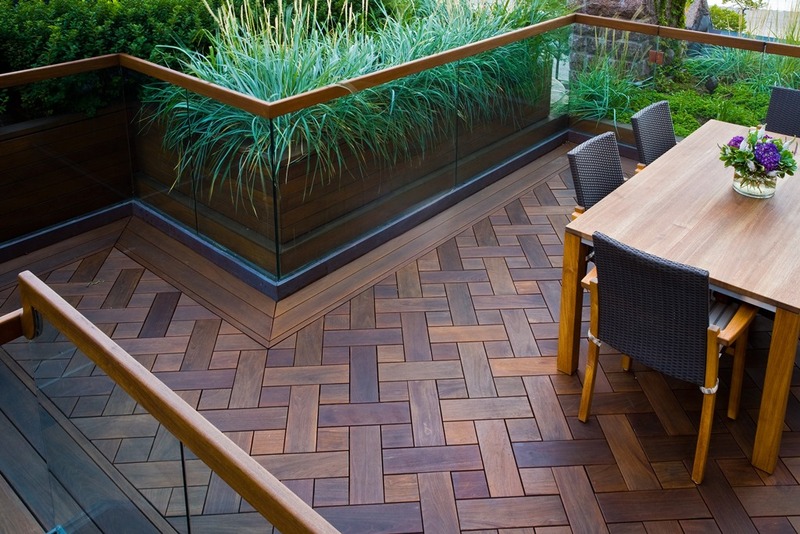 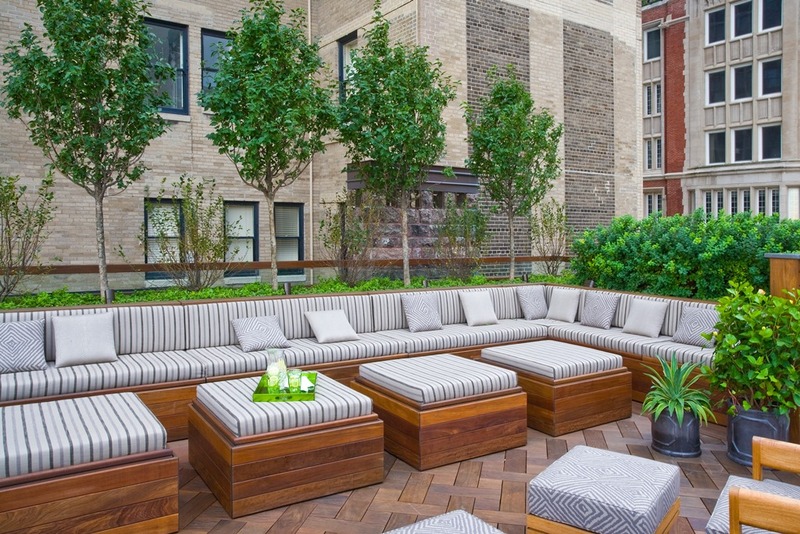 Ipe wood and plantings fill the space to soften the cityscape and contrast the urban setting creating an outdoor oasis and secret escape.